E Street represents the country’s “best urban street transformation of 2014,” the readers of USA Streetsblog have officially decided. The contest ended Sunday, with San Bernardino’s E Street grabbing 848 votes (48 percent of the total), compared to 427 for second-place Western Avenue in Cambridge, Mass. 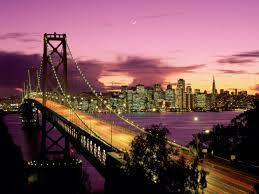 Streets in Minneapolis, Seattle and Pittsburg finished further back. Blog manager Angie Schmitt confirmed in an email that San Bernardino had won the contest, which ended Sunday, and said she hoped to have an official announcement soon. San Bernardino resident Marven Norman, a regular reader of the blog, nominated E Street — with the sbX bus rapid transit line and transit-oriented development like that advocated by Streetsblog — and Schmitt and others selected it as one of five finalists. 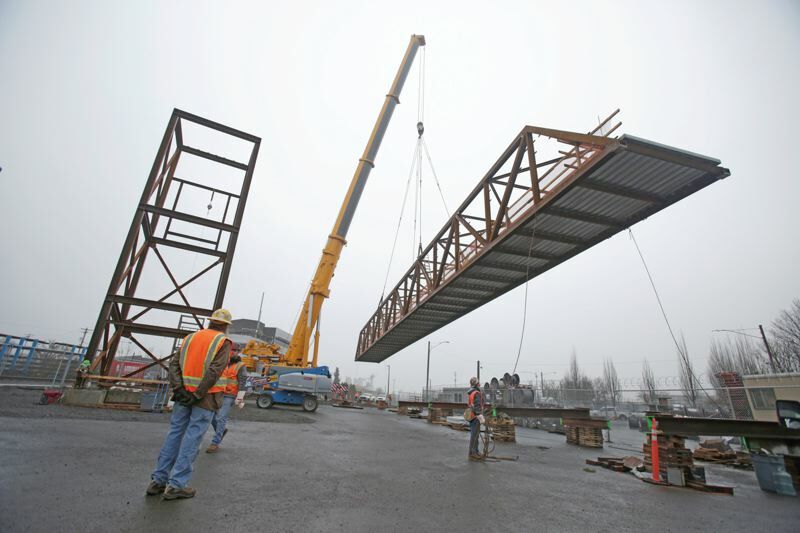 Construction of the replacement Lafayette Street pedestrian bridge is focusing attention on a new style of potential light rail-related growth — Employment Transit Oriented Development, or E-TOD, as planners call it. Last Thursday morning, a large crane lifted a 70-ton steel walkway more than 50 feet into the air near Southeast Rhine Street and Southeast 17th Avenue in the Brooklyn neighborhood. The 184-foot collection of plates and girders hung in the air for 15 minutes as the crane rotated 180 degrees, then gently lowered it onto the top of two 42-foot-high steel towers on either side the Union Pacific railroad line. It’s not easy to weave upscale apartments, condominiums and office buildings into historic neighborhoods known for their gritty charm, developers and architects say. Pittsburgh has a lot of the latter and is rapidly getting more of the former. 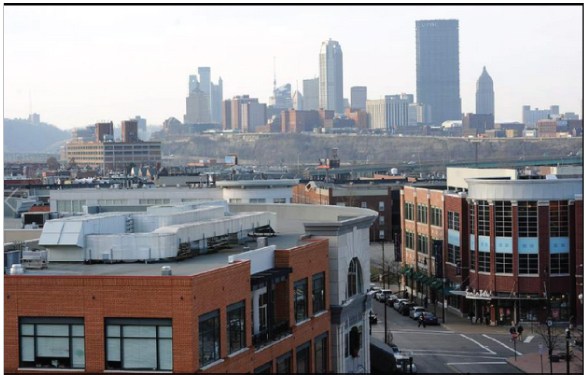 The Strip District is the latest target. Developers this month announced plans for 700 luxury apartments near the historic Produce Terminal that will feature designated areas to store kayaks, wash dogs and charge electric cars. Rents will be as much as $2,200 a month. Developers are committing billions of dollars to large-scale projects that propose a mix of housing, offices and retail in areas with rich histories. If planners for Bethesda, Maryland fully realize a conceptual vision now being offered to community leaders and the public, the once-quiet but now-bustling suburb’s downtown could become a nationally relevant example of urban sustainability. 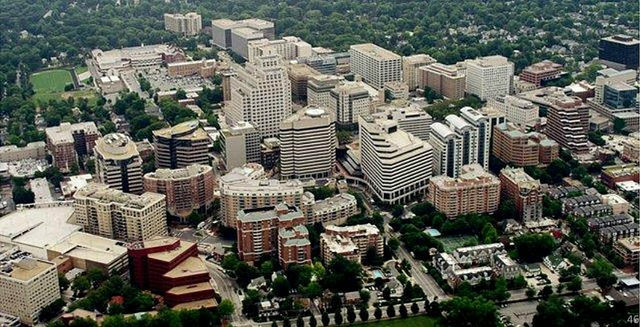 While the thinking is in its infancy, the Montgomery County Planning Department – under Maryland law, the county has legal authority – is considering a comprehensive green overhaul of Bethesda’s downtown plan, currently being updated by for the first time in twenty years. Particularly significant, in my opinion, would be two to three neighborhood-scaled “ecodistricts” within the downtown that would lead the way with showcase practices to accelerate and intensify environmental performance. The Department is being exceptionally cautious in stressing that for the moment its ideas are only conceptual and preliminary in nature, and will be subject to extensive review and refinement, but they point in the right direction. Searching for solid examples of Bus Rapid Transit in your slice of the world, or pondering possible ways to solve a particular BRT problem? A new interactive map developed by the Institute for Transportation and Development Policy might have your answer. 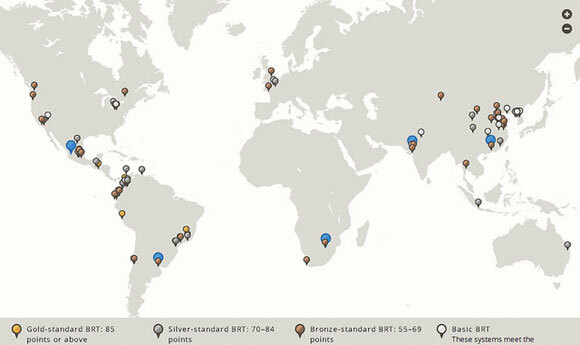 ITDP, which created the BRT Standard to define high-quality BRT and foster it around the world, has now plotted every city on the planet with a BRT route that has achieved the Standard’s criteria. The map shows that the most, and highest-quality, BRT systems are concentrated in Latin America, where the concept originated, and in fast-growing China. Within the United States, Cleveland, Los Angeles, and Pittsburgh stand out as leaders, but cities around the country are hatching plans for new systems. Revenue from California’s greenhouse gas emissions trading program would be used as a permanent source of funding for affordable housing, water efficiency projects and a variety of transportation projects, including high-speed rail, under a new plan outlined by State Senate President Pro Tempore Darrell Steinberg (D). Unveiled April 14 at a news conference in Sacramento, the plan replaces a proposal Steinberg announced in February to impose a carbon tax on transportation fuels rather than bring them under the scope of the emissions trading program, as is scheduled in 2015.